Hogwarts Headmaster. . HD Wallpaper and background images in the Severus Snape club tagged: severus snape potions master harry potter severus deathly hallows 2 snape. 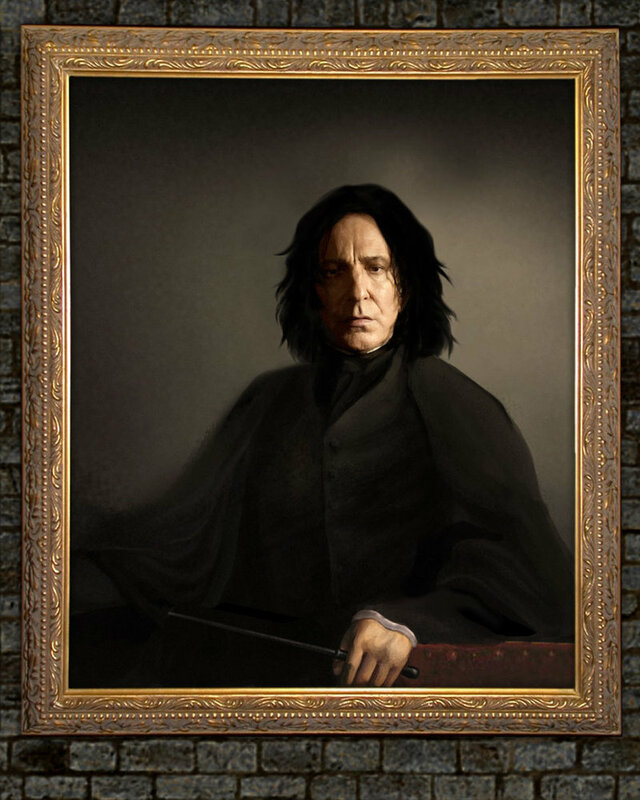 This Severus Snape fan art might contain zeichen, plakat, text, tafel, schilder, and poster. If it's a portrait, why isn't it moving?! That is truly a wonderful picture. You know, I always thought if Severus had a portrait made, he would insist it be muggle or would sabotage it so that it would be just a muggle portrait.